Welcome to the ScrapThat! 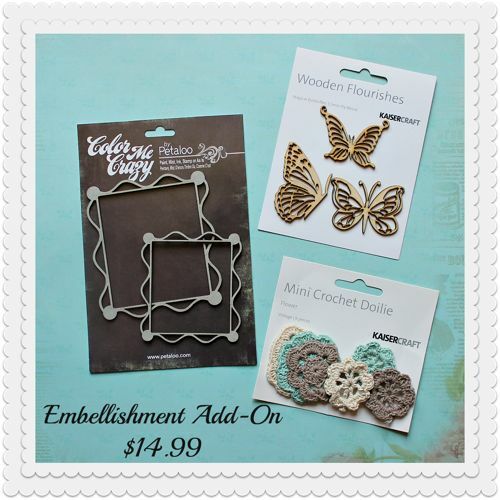 August Kit Reveal and Blog Hop!! ScrapThat! 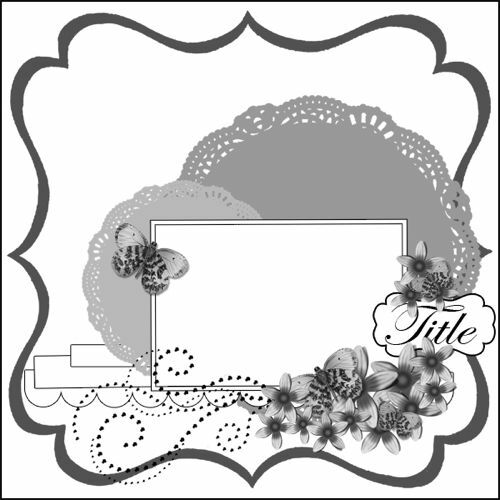 is delighted to introduce our August kit featuring the beautiful Charlotte’s Dream by Kaisercraft!! 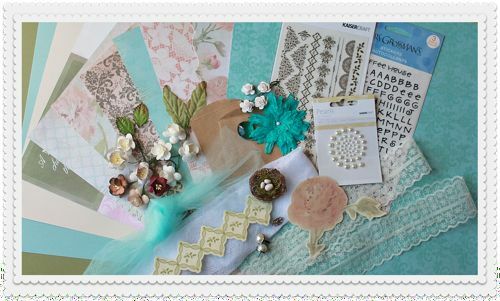 This Kit is chock full of yummy goodies such as Kaisercraft’s Charlotte’s Dream Collection papers, lace, pearls, die cuts, tulle, an array of flowers and much more!!! We are currently accepting new Kit Club Members. Please Join Our August Sketch Challenge HERE. Sketch designed by Design Team Member- Amarylis Doria. Everyone is welcome to participate, all entries due by August 15th. For this next layout I followed a sketch from the Kaisercraft Blog. Sketch #1 from July. 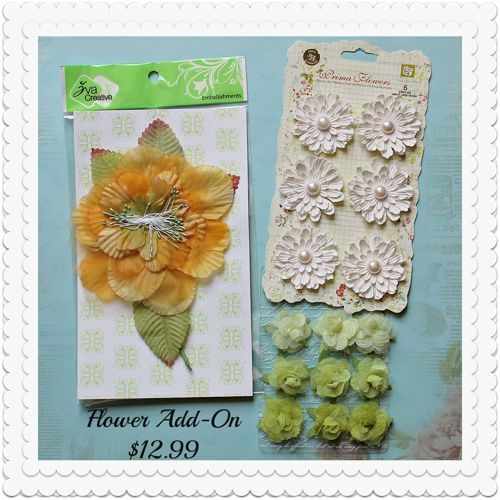 I made my own tulle flower which I will be showing you how to make in a tutorial later on this month. I used the main kit. The EAO and a large flower and resin corners from my stash. I used the main kit for this layout and a little piece of leftover chipboard and doilies from the EAO. The little blue flowers are from my stash. Our blog hop features 8 fantastic blogs. 1. Visit each blog and comment on each blog listed in the hop order. You can expect see lots of August kit inspiration along the way from our designers! 2. Each designer’s blog hop post will provide a word for a secret sentence. Collect these words along the way and follow the directions provided in ScrapThat!’s forum when you are finished with the hop. 3. New followers are appreciated. Make sure you LIKE us on our Facebook Page! 4. Post the ScrapThat! blinkie on your blog. 5. The last stop on our Blog Hop is our Forum, follow the link provided and complete the remainder of the Blog Hop instructions. · If left unclaimed, a NEW winner will be chosen! Please Note: for anything larger than an envelope, winner will be responsible for the cost of shipping. Such beautiful creations again this month..love the all! Your layouts are all gorgeous I especially like "forever"! TFS! Beautifully done!!! Love em all! As usual, your layouts are beautiful. 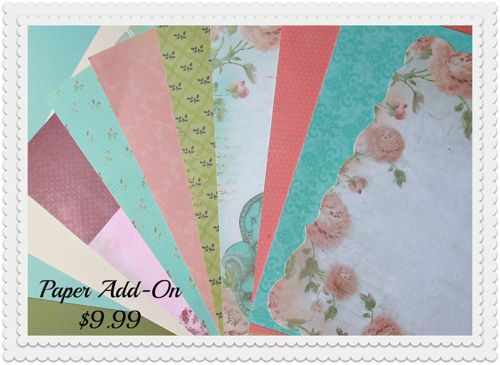 keren, you really do a lovely showcasing of your photo's with the scrapthat kit colors…. It's so hard to pick a favorite! Thanks for sharing your creativity! beautiful LOs Keren Love them all !!! Soo Beautiful creations Keren!! many beautiful details. I love the last one…the design is fabulous and the picture of you and your kids adorable!! Such wonderful LO's. Thanks for the inspiration. What beautiful LOs. I love them all. You are amazing!! I love love love love love them!!! the colors, the layers… just GORGEOUS!!! absolutely gorgeous layouts Keren! LOVE your take on the Kaisercraft sketch! Keren, these are so beautiful…you do amazing work! Truly great job Keren! You really do do amazing work with flowers. Every time they turn out wonderfully. They are all brilliant but the middle one is the total showstopper – simply superb!! Ohh one day I'm going to have to get myself one of these kits and add ons…. you do amazing layouts with them Keren! Those flowers are just soooooo nice! Oh Keren these are just so pretty! Really love what you've done with this kit! ALL of these layouts are fab, especially I love the last one, with the photo of you and your kids. Absolutely beautiful projects. I loved seeing the photo of you and your sisters! There is just one word for your work….GORGEOUS! I simply want to tell you that I’m newbie to blogs and certainly liked your website. Likely I’m likely to bookmark your blog post . You definitely have incredible article content. Cheers for revealing your website. You are my intake, I own few web logs and occasionally run out from post :). “Yet do I fear thy nature It is too full o’ the milk of human kindness.” by William Shakespeare. What i do not understood is actually how you’re no longer really a lot more neatly-preferred than you might be right now. You’re very intelligent. You realize therefore significantly relating to this topic, made me individually consider it from a lot of numerous angles. Its like women and men aren’t involved until it is something to accomplish with Lady gaga! Your individual stuffs nice. At all times care for it up! I’ll immediately clutch your rss feed as I can’t in finding your e-mail subscription hyperlink or newsletter service. Do you’ve any? Kindly permit me know so that I may just subscribe. Thanks. Hello very nice blog!! Man .. Beautiful .. Wonderful .. I’ll bookmark your website and take the feeds additionally…I’m glad to search out numerous useful info right here in the publish, we want work out extra techniques on this regard, thank you for sharing. Simply desire to say your article is as surprising. The clearness in your post is just cool and i can assume you’re an expert on this subject. Fine with your permission let me to grab your feed to keep up to date with forthcoming post. Thanks a million and please continue the gratifying work. Thank you for another magnificent article. The place else could anybody get that type of information in such an ideal means of writing? I’ve a presentation subsequent week, and I am at the look for such info. I actually wanted to write down a small comment so as to express gratitude to you for all of the great guidelines you are giving here. My incredibly long internet research has finally been compensated with extremely good details to exchange with my friends and family. I would declare that most of us visitors are rather blessed to be in a good network with so many lovely individuals with interesting guidelines. I feel somewhat privileged to have discovered the website and look forward to tons of more pleasurable minutes reading here. Thanks again for everything. Thank you for sharing superb informations. Your site is so cool. I’m impressed by the details that you’ve on this web site. It reveals how nicely you perceive this subject. Bookmarked this web page, will come back for more articles. You, my friend, ROCK! I found just the information I already searched all over the place and simply couldn’t come across. What a perfect web site. I¡¦ll right away seize your rss as I can not find your email subscription hyperlink or newsletter service. Do you have any? Kindly let me realize so that I may subscribe. Thanks. I am just commenting to make you understand what a extraordinary encounter my wife’s girl developed viewing the blog. She learned a wide variety of things, with the inclusion of what it’s like to have a wonderful helping nature to have many more without problems master certain very confusing subject areas. You undoubtedly did more than our own desires. Thank you for churning out those necessary, healthy, informative and even fun guidance on that topic to Gloria. Usually I do not read article on blogs, but I wish to say that this write-up very forced me to take a look at and do so! Your writing style has been amazed me. Thank you, quite nice post. My spouse and i got absolutely excited when Chris managed to round up his homework through the ideas he was given from your own web page. It’s not at all simplistic to just happen to be releasing guidelines that other people may have been making money from. And we discover we need the blog owner to thank because of that. The most important illustrations you have made, the simple blog navigation, the friendships you will make it possible to promote – it is everything fantastic, and it is helping our son and us understand this topic is cool, and that’s particularly pressing. Thank you for the whole thing! I cling on to listening to the news bulletin speak about receiving free online grant applications so I have been looking around for the best site to get one. Could you tell me please, where could i acquire some? wonderful points altogether, you just gained a emblem new reader. What may you suggest about your submit that you simply made some days in the past? Any sure? Great tremendous things here. I¡¦m very glad to peer your article. Thank you so much and i’m looking forward to touch you. Will you please drop me a e-mail? Wonderful goods from you, man. I’ve understand your stuff previous to and you are just extremely wonderful. I actually like what you have acquired here, really like what you are stating and the way in which you say it. You make it entertaining and you still take care of to keep it sensible. I can not wait to read far more from you. This is really a great site. I want to get across my love for your kindness supporting those individuals that require guidance on your theme. Your very own commitment to getting the message along ended up being really advantageous and has constantly helped guys much like me to arrive at their ambitions. The helpful guideline implies this much a person like me and additionally to my colleagues. Many thanks; from everyone of us. Hi my family member! I wish to say that this article is amazing, nice written and include almost all important infos. I’d like to see extra posts like this. Thank you for any other informative blog. Where else may just I get that kind of information written in such a perfect method? I have a challenge that I am just now operating on, and I’ve been on the look out for such info. I as well as my friends were reading the excellent information and facts on your site while quickly came up with a horrible suspicion I never expressed respect to you for those tips. Most of the boys were for that reason excited to study them and have in reality been taking pleasure in these things. Thanks for simply being well considerate and then for obtaining some decent ideas most people are really eager to be aware of. My very own honest regret for not expressing gratitude to you earlier. I¡¦ve been exploring for a little for any high quality articles or weblog posts on this kind of area . Exploring in Yahoo I finally stumbled upon this web site. Reading this info So i¡¦m happy to express that I have an incredibly good uncanny feeling I came upon exactly what I needed. I such a lot no doubt will make certain to don¡¦t forget this web site and provides it a glance regularly. I as well as my pals appeared to be studying the nice tactics on your website and instantly got an awful feeling I had not expressed respect to the site owner for those techniques. All of the men were for that reason very interested to see them and already have undoubtedly been taking advantage of them. Thank you for turning out to be very considerate and for using variety of magnificent things most people are really needing to discover. Our sincere apologies for not saying thanks to earlier. Hiya, I’m really glad I’ve found this information. Nowadays bloggers publish only about gossips and net and this is actually frustrating. A good website with exciting content, that is what I need. Thanks for keeping this site, I will be visiting it. Do you do newsletters? Cant find it. Very well written story. It will be valuable to anybody who utilizes it, as well as yours truly :). Keep doing what you are doing – i will definitely read more posts. You could certainly see your skills within the work you write. The world hopes for more passionate writers such as you who aren’t afraid to mention how they believe. Always go after your heart. Thank you for sharing superb informations. Your site is very cool. I am impressed by the details that you have on this site. It reveals how nicely you perceive this subject. Bookmarked this website page, will come back for more articles. You, my pal, ROCK! I found simply the information I already searched everywhere and just could not come across. What an ideal website. Thank you for sharing superb informations. Your website is very cool. I am impressed by the details that you¡¦ve on this website. It reveals how nicely you understand this subject. Bookmarked this website page, will come back for more articles. You, my pal, ROCK! I found simply the info I already searched all over the place and simply couldn’t come across. What an ideal web site. magnificent points altogether, you simply gained a new reader. What would you recommend about your submit that you just made a few days in the past? Any certain? Hello there, You’ve done an excellent job. I will definitely digg it and personally suggest to my friends. I’m confident they will be benefited from this website. Thanks for another informative site. Where else may just I get that kind of information written in such a perfect means? I have a challenge that I’m simply now operating on, and I’ve been at the look out for such information. Absolutely pent subject matter, thanks for entropy. “The earth was made round so we would not see too far down the road.” by Karen Blixen. Some really wonderful blog posts on this internet site , thanks for contribution. Thanks, I’ve recently been looking for info about this topic for a long time and yours is the best I’ve discovered till now. But, what in regards to the bottom line? Are you positive concerning the supply? I’m still learning from you, while I’m trying to achieve my goals. I definitely enjoy reading everything that is written on your website.Keep the information coming. I loved it! Hiya, I’m really glad I have found this information. Today bloggers publish only about gossips and net and this is actually irritating. A good website with interesting content, this is what I need. Thanks for keeping this website, I will be visiting it. Do you do newsletters? Can not find it. I am only commenting to make you know of the superb encounter our princess obtained going through your blog. She noticed such a lot of pieces, most notably what it is like to have an excellent teaching spirit to let many more completely master selected tricky things. You undoubtedly surpassed readers’ expectations. Many thanks for giving these valuable, safe, educational as well as easy thoughts on your topic to Gloria. I do consider all the concepts you have offered for your post. They’re really convincing and will definitely work. Still, the posts are very quick for beginners. Could you please prolong them a bit from subsequent time? Thanks for the post. You completed certain fine points there. I did a search on the theme and found nearly all people will go along with with your blog. Its like you read my mind! You seem to know a lot about this, like you wrote the book in it or something. I think that you can do with a few pics to drive the message home a little bit, but other than that, this is fantastic blog. A fantastic read. I will definitely be back. What i do not realize is actually how you’re no longer actually a lot more neatly-favored than you might be right now. You’re very intelligent. You recognize therefore considerably in relation to this matter, made me in my opinion believe it from so many varied angles. Its like men and women don’t seem to be interested until it’s something to accomplish with Lady gaga! Your individual stuffs nice. All the time maintain it up! My husband and i have been so joyful Chris managed to conclude his basic research by way of the ideas he came across in your web page. It’s not at all simplistic just to find yourself offering thoughts which often a number of people might have been selling. Therefore we already know we have got you to thank because of that. The illustrations you have made, the straightforward site menu, the friendships you can make it possible to foster – it is most exceptional, and it’s really leading our son and us consider that the article is satisfying, and that is tremendously vital. Many thanks for the whole thing! Hiya very cool web site!! Guy .. Excellent .. Superb .. I’ll bookmark your web site and take the feeds also¡KI’m satisfied to seek out a lot of useful information right here within the post, we’d like work out extra strategies in this regard, thanks for sharing. . . . . . I do trust all the ideas you have introduced to your post. They’re very convincing and will certainly work. Still, the posts are very short for beginners. May you please prolong them a bit from subsequent time? Thanks for the post. I¡¦ve been exploring for a bit for any high-quality articles or blog posts in this kind of area . Exploring in Yahoo I ultimately stumbled upon this website. Studying this info So i am satisfied to convey that I have an incredibly good uncanny feeling I came upon exactly what I needed. I so much unquestionably will make certain to do not fail to remember this site and give it a glance regularly. Very superb info can be found on site . “An executive is a person who always decides sometimes he decides correctly, but he always decides.” by John H. Patterson. Useful information. Lucky me I found your web site unintentionally, and I am surprised why this accident did not came about earlier! I bookmarked it. I and my pals have been looking at the great secrets located on the website while the sudden developed a terrible feeling I never thanked the web blog owner for those strategies. All the boys were definitely as a result excited to learn them and now have really been taking pleasure in them. Thanks for indeed being really accommodating and then for opting for these kinds of terrific subject matter most people are really wanting to know about. Our sincere regret for not expressing appreciation to you earlier. Helpful information. Lucky me I found your site by accident, and I’m surprised why this twist of fate did not took place earlier! I bookmarked it. You actually make it appear really easy along with your presentation but I in finding this topic to be actually something that I believe I might never understand. It sort of feels too complex and extremely extensive for me. I am taking a look ahead for your next publish, I¡¦ll attempt to get the grasp of it! A person essentially lend a hand to make critically posts I’d state. That is the first time I frequented your website page and thus far? I surprised with the analysis you made to create this particular post incredible. Fantastic task! You made some decent points there. I looked on the internet for the issue and found most persons will go along with with your website. magnificent put up, very informative. I ponder why the opposite experts of this sector do not understand this. You should proceed your writing. I’m confident, you’ve a huge readers’ base already! I will right away grab your rss as I can’t to find your email subscription hyperlink or e-newsletter service. Do you’ve any? Please allow me recognise so that I may subscribe. Thanks. It is the best time to make some plans for the future and it is time to be happy. I’ve read this post and if I could I want to suggest you few interesting things or tips. Perhaps you could write next articles referring to this article. I desire to read even more things about it! hello!,I really like your writing so much! percentage we communicate extra approximately your article on AOL? I require an expert in this house to solve my problem. May be that is you! Having a look forward to see you. Valuable info. Lucky me I found your web site by chance, and I am surprised why this twist of fate did not came about earlier! I bookmarked it. Hey there, You’ve done a fantastic job. I’ll certainly digg it and personally suggest to my friends. I am confident they’ll be benefited from this site. F*ckin’ tremendous issues here. I’m very satisfied to see your article. Thank you a lot and i am looking forward to touch you. Will you kindly drop me a mail? Its like you read my mind! You appear to know so much about this, like you wrote the book in it or something. I think that you could do with a few pics to drive the message home a bit, but other than that, this is magnificent blog. An excellent read. I will certainly be back. Magnificent web site. Plenty of useful information here. I¡¦m sending it to a few pals ans additionally sharing in delicious. And obviously, thanks in your sweat! Magnificent goods from you, man. I have understand your stuff previous to and you’re just extremely magnificent. I really like what you have acquired here, really like what you’re stating and the way in which you say it. You make it enjoyable and you still take care of to keep it smart. I cant wait to read far more from you. This is actually a terrific site. I¡¦ve been exploring for a bit for any high-quality articles or blog posts in this sort of house . Exploring in Yahoo I ultimately stumbled upon this web site. Studying this information So i¡¦m satisfied to show that I’ve an incredibly excellent uncanny feeling I discovered just what I needed. I so much for sure will make sure to don¡¦t disregard this website and give it a look on a continuing basis. Excellent goods from you, man. I’ve understand your stuff previous to and you’re just extremely wonderful. I actually like what you have acquired here, really like what you are saying and the way in which you say it. You make it entertaining and you still care for to keep it wise. I can’t wait to read much more from you. This is actually a great website. whoah this blog is wonderful i like studying your posts. Stay up the good work! You know, many individuals are searching round for this information, you could aid them greatly. What i do not realize is if truth be told how you’re now not actually much more well-preferred than you might be now. You are so intelligent. You already know therefore significantly on the subject of this matter, produced me in my view believe it from a lot of numerous angles. Its like men and women aren’t involved except it’s something to do with Woman gaga! Your personal stuffs excellent. At all times care for it up! Thanks , I have just been looking for info approximately this topic for a while and yours is the greatest I’ve discovered till now. However, what in regards to the conclusion? Are you sure concerning the source? Wow, wonderful blog structure! How lengthy have you been running a blog for? you make blogging glance easy. The entire glance of your site is great, as smartly as the content! Excellent goods from you, man. I have understand your stuff previous to and you are just too fantastic. I really like what you have acquired here, certainly like what you’re saying and the way in which you say it. You make it enjoyable and you still care for to keep it wise. I can’t wait to read far more from you. This is actually a tremendous web site. You actually make it seem really easy with your presentation however I to find this topic to be actually something which I believe I would never understand. It kind of feels too complex and very extensive for me. I’m taking a look ahead in your subsequent publish, I will attempt to get the grasp of it! Thank you for every other informative website. The place else may I am getting that type of information written in such an ideal way? I’ve a mission that I’m just now operating on, and I’ve been at the glance out for such information. I have learn several just right stuff here. Definitely value bookmarking for revisiting. I wonder how a lot effort you place to create such a fantastic informative web site. Great goods from you, man. I’ve understand your stuff previous to and you’re just too magnificent. I really like what you have acquired here, certainly like what you’re saying and the way in which you say it. You make it enjoyable and you still take care of to keep it wise. I can not wait to read much more from you. This is really a tremendous website. I do consider all of the ideas you’ve offered on your post. They are very convincing and will certainly work. Still, the posts are too brief for newbies. May just you please extend them a bit from subsequent time? Thank you for the post. I’ve been browsing on-line greater than 3 hours lately, yet I by no means discovered any attention-grabbing article like yours. It is pretty price sufficient for me. In my opinion, if all webmasters and bloggers made just right content material as you did, the internet shall be much more useful than ever before. Hiya, I’m really glad I’ve found this info. Today bloggers publish just about gossips and web and this is really annoying. A good web site with interesting content, this is what I need. Thank you for keeping this site, I’ll be visiting it. Do you do newsletters? Cant find it. I must convey my gratitude for your generosity supporting men and women who need guidance on the issue. Your special dedication to getting the message all-around was pretty valuable and have all the time encouraged ladies much like me to reach their targets. Your new valuable useful information signifies so much to me and extremely more to my office colleagues. Thank you; from everyone of us. Magnificent goods from you, man. I’ve understand your stuff previous to and you are just extremely fantastic. I actually like what you have acquired here, really like what you’re saying and the way in which you say it. You make it enjoyable and you still care for to keep it sensible. I can’t wait to read far more from you. This is really a tremendous web site. Thank you a bunch for sharing this with all people you actually recognize what you’re talking approximately! Bookmarked. Kindly also consult with my site =). We will have a link exchange agreement among us! Thank you for any other informative site. The place else may I am getting that kind of info written in such an ideal way? I have a mission that I am just now operating on, and I have been at the look out for such information. I do believe all the ideas you have presented for your post. They are really convincing and can certainly work. Nonetheless, the posts are very quick for newbies. Could you please lengthen them a bit from next time? Thanks for the post. hey there and thank you for your info – I have definitely picked up anything new from right here. I did however expertise several technical issues using this web site, as I experienced to reload the web site a lot of times previous to I could get it to load properly. I had been wondering if your hosting is OK? Not that I am complaining, but sluggish loading instances times will sometimes affect your placement in google and could damage your high quality score if advertising and marketing with Adwords. Anyway I am adding this RSS to my email and could look out for a lot more of your respective interesting content. Make sure you update this again soon.. Useful information. Lucky me I found your web site accidentally, and I am shocked why this coincidence didn’t came about in advance! I bookmarked it. I and also my guys were found to be studying the best guides from your site then immediately developed a terrible feeling I never expressed respect to the site owner for those techniques. The guys are actually consequently joyful to read them and now have extremely been taking advantage of these things. Appreciation for turning out to be well helpful and then for deciding on variety of beneficial information millions of individuals are really eager to discover. Our sincere regret for not saying thanks to earlier. I really wanted to construct a comment in order to appreciate you for those stunning recommendations you are giving out here. My prolonged internet research has at the end of the day been compensated with awesome details to write about with my best friends. I ‘d repeat that most of us visitors actually are really blessed to live in a fantastic place with so many wonderful professionals with valuable points. I feel somewhat privileged to have seen your entire website and look forward to some more entertaining times reading here. Thanks again for a lot of things.